They have become optional in many motorhomes, and the reviews aren't great. The big problem is temp regulation. Unless you take a shower at full flow, the temp fluctuates quite a bit. Could be user error, but it irked some folks enough to switch to standard tank heater. Wonder if its any worse than the temp swing that the Espar produced w/o the tempering valve? I almost burned my scalp off. I have the Eccotemp 5 and I like it. 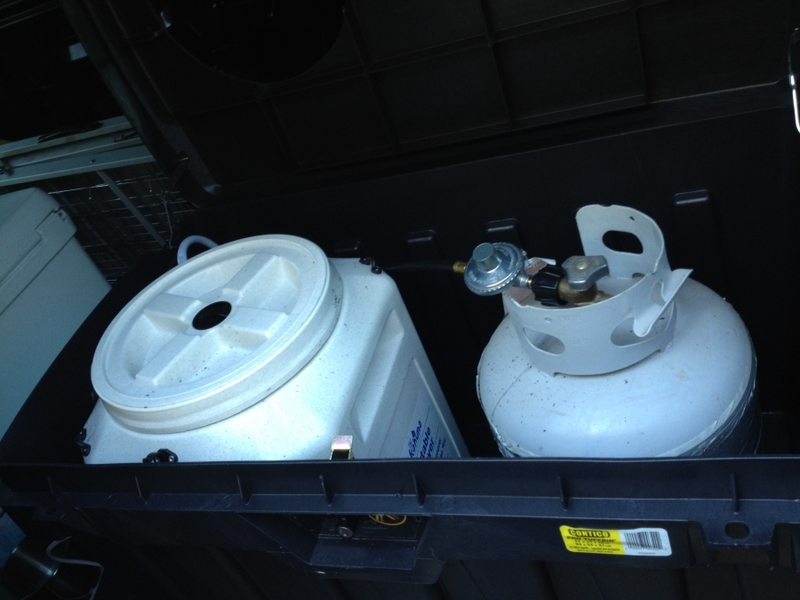 Mounted on a removable container which holds my propane bottle and nearly 14 gallons of water with water pump. When I need it, I throw it in the van. When I don't, I take it out. Harold Grissom - 2005 Quigley Ford E-350, 6.0 Turbo Diesel. 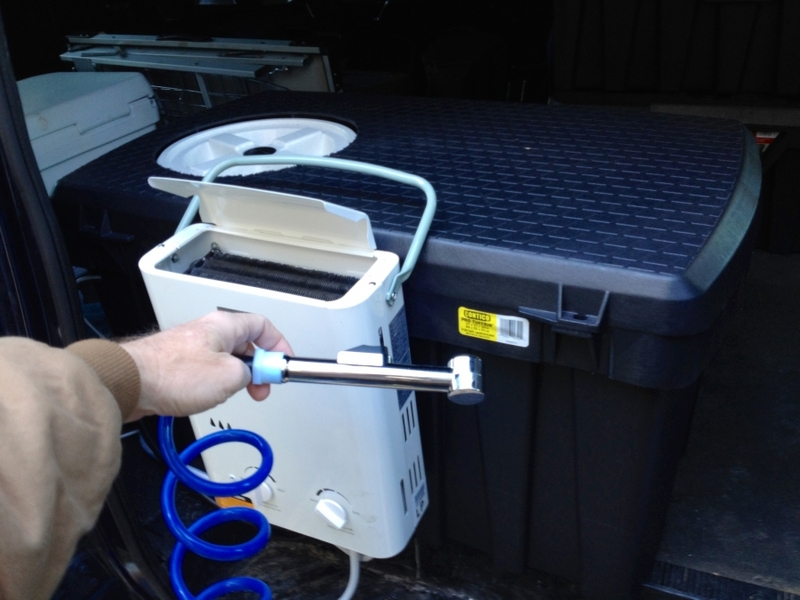 We're using the Ecotemp-5 on the front of the trailer. If it were not on board, I'd likely be camping solo. I dont have a photo of the combo, but we've since discovered that the waffle boards I purchased for getting us unstuck someday get far more use as a shower floor.